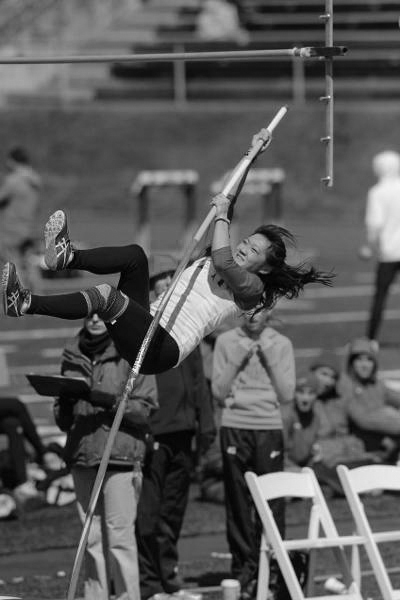 Junior pole vaulter Grace Yee was recently named Eastern College Athletic Conference (ECAC) Division III South Athlete of the Week and Carnegie Mellon Student-Athlete of the Week for Jan. 18–24 for her performance at the Denison Lid Lifter on Saturday, Jan. 23. Yee broke the school indoor pole vault record clearing the bar at 3.20 meters in the second meet of the season. The record was previously 3.10 meters and set by Lisa Marion Garcia in 2011. This is the second time Yee has broken a school record. Last spring, Yee broke the outdoor pole vault record twice. At the Dave Labor Invitational on Apr. 18, Yee bested the 3.10 meter mark set by Garcia by clearing 3.21 meters. One week later at the University Athletic Association (UAA) Outdoor Championships, she cleared a career best 3.40 meters. Though she has already proven to be an excellent athlete, the materials science and engineering major is hoping to continue turning out excellent performances on the road to nationals.